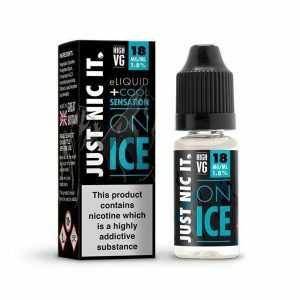 Whether you’re looking to save money, or create an interesting flavour – vaping your own DIY e-liquid is proving extremely popular. E-liquid is made of a few, but important components. A base liquid (shown below), nicotine, and flavourings. We provide a handy calculator to aid mixing your creation – but first you’ll need a base liquid (indeed a mixture of two). 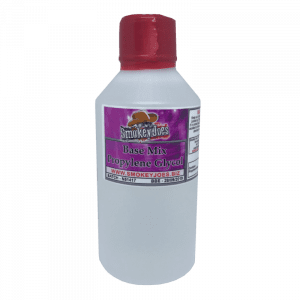 Vegetable Glycerin (VG) – It is a colorless, viscous (thick) organic compound that acts as a diluent, or filler, for nicotine or serves as a base for flavor concentrates. Produces more cloud. Propylene Glycol (PG) – It is a better carrier for flavorings, thus striking an acceptable balance is important. Very little flavour (some do say slightly sweet). PG is very popular for its viscosity, intensity, and vapor temperature. 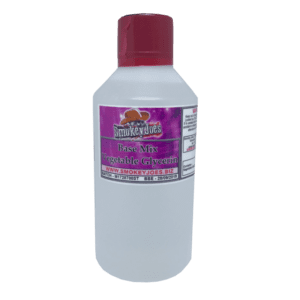 Aqueous Glycerin (AG) – A good substitute if you are intolerant to Propylene Glycol (PG). Next comes the Nicotine. 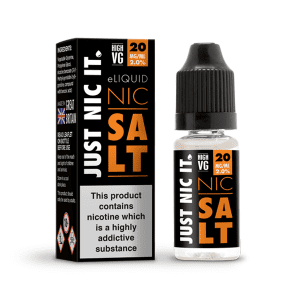 UK & EU Law states, we can sell this at a maximum bottle contents of 10ml, and a maximum strength of 20mg. It’s available mixed in a PG or VG base. When your done adding those three, look at our flavour concentrates to create your own flavour.